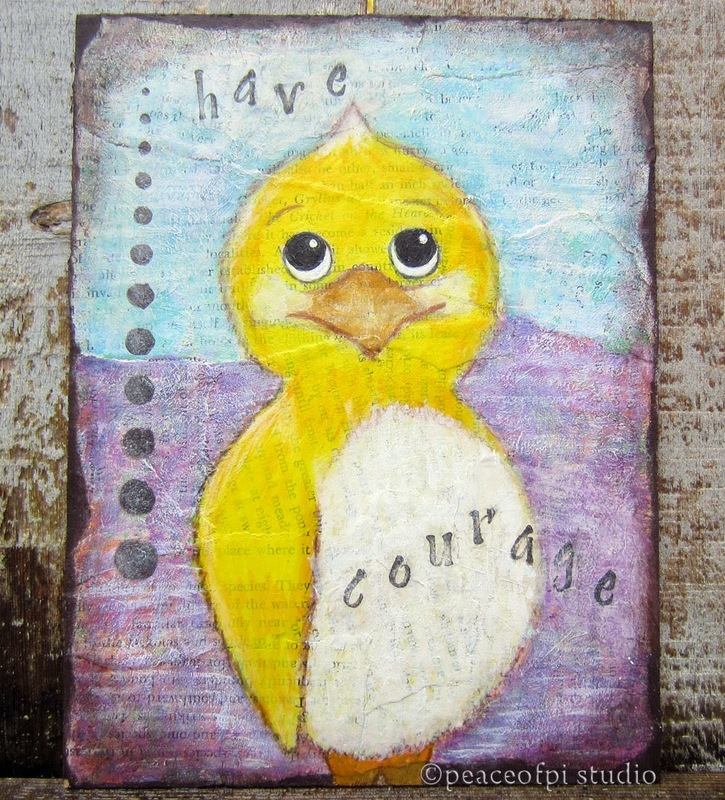 The art quilt has heavy stitching and raw edges, embracing the spirit and sentiments of the original painting. 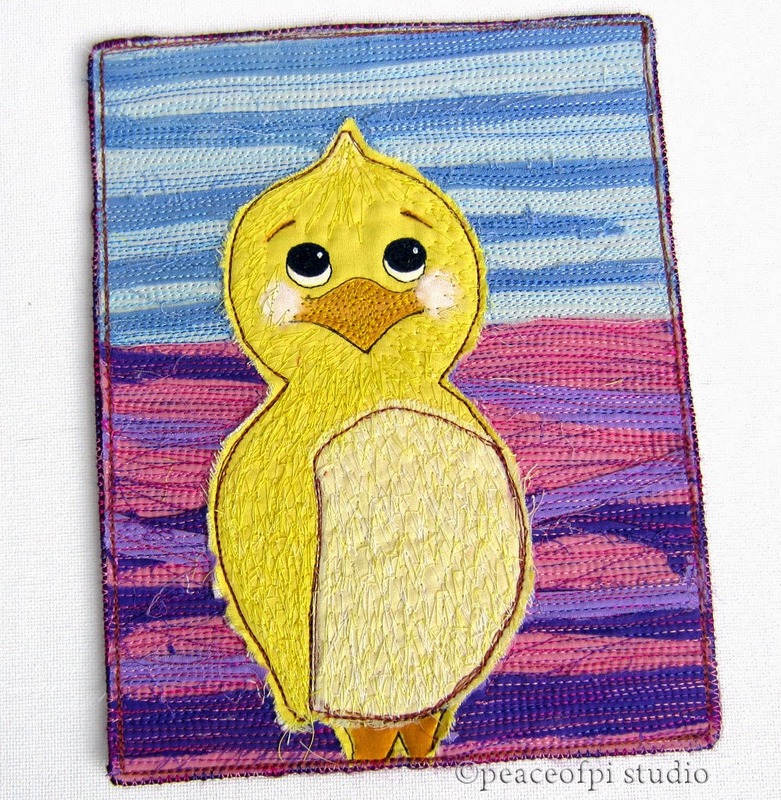 The yellow bird has free-motion feather like stitching and the background has heavy straight line stitches. Next up is a happy green bird with different types of surface stitching.